And finally, let’s turn our attention to the painting of Bacchus hanging next to David and Goliath. 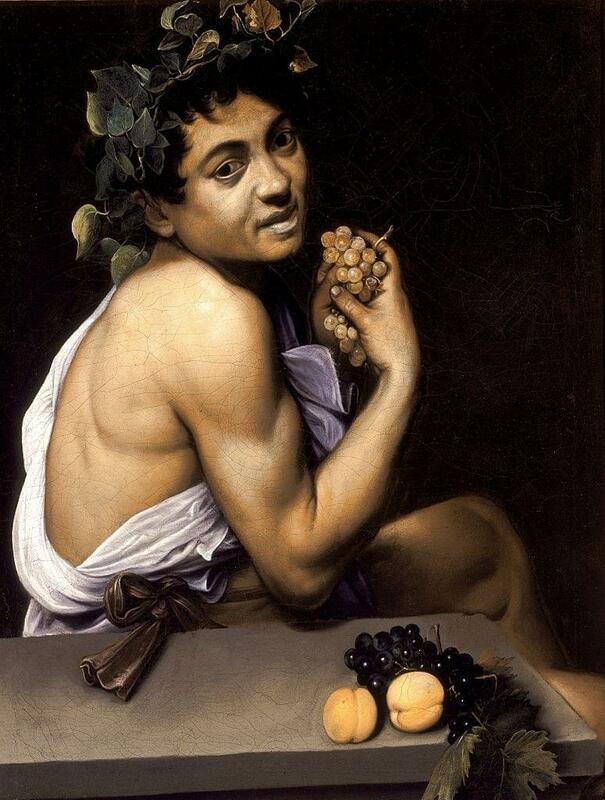 This painting, along with the one opposite, depicts Bacchus holding a bunch of grapes. It dates from Caravaggio’s early Roman period around 1593 to 1594.